OTTAWA -- Provincial subsidies to encourage the use of electric vehicles are the most expensive, least effective way to help cut greenhouse gas emissions, the Montreal Economic Institute says in a new report. The organization studied the subsidies offered by the governments of Quebec and Ontario and says together they could cost those provinces more than $17 billion by 2030, while cutting emissions in those provinces less than four per cent a year. Ontario offers rebates of up to $14,000 and Quebec up to $8,000, on the purchase of electric vehicles. Germain Belzile, senior associate researcher at the institute and the report's lead author, says over a decade, a zero-emission vehicle will produce about 30 tonnes less in emissions than a gasoline-powered vehicle. That means the Ontario subsidy is costing as much as $523 a tonne and Quebec's $288 a tonne, compared with the federal carbon price plan, which will hit $50 a tonne by 2022. Belzile said this is something federal Transport Minister Marc Garneau should take into account as he considers a federal electric car subsidy. "If the governments absolutely want to get to their (emissions) goals faster, the worst way of doing that is a subsidy to electric cars," said Belzile. 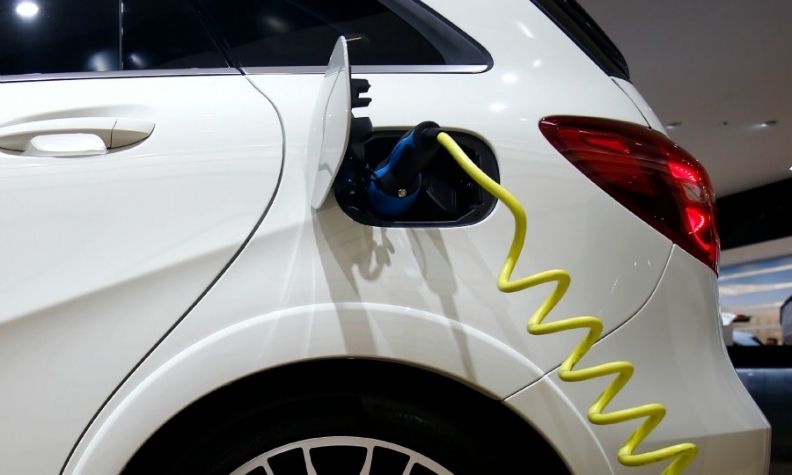 Garneau appointed an advisory group last month to look at barriers to electric vehicle purchases, including supply, demand, cost, and infrastructure readiness, such as the availability of charging stations. Garneau said he doesn't intend to set quotas for electric vehicle sales in Canada, as Quebec and Ontario have done, but he is looking for advice on whether to implement a subsidy. Belzile said the panel should absolutely conclude, based on the evidence, that subsidizing electric cars is simply not efficient. At the end of 2016, there were 29,270 electric vehicles registered in Canada and three-quarters of them were in Quebec and Ontario. Quebec wants to have at least 100,000 electric vehicles on the road by 2020, and one million by 2030. The report suggests Quebec's subsidies would cost between $4.6 billion and $8.6 billion to get there. Ontario's goal is to have five per cent of all passenger vehicles sold in the province be electric by 2020, not including pickup trucks, sport utility vehicles or minivans. Belzile's report estimates it will cost Ontario between $980 million and $1.7 billion in subsidies over the next three years to get there. If kept in place until 2030, the subsidy could cost as much as another $6.9 billion. Belzile's report estimates Quebec's electric vehicle target would cut about three million tonnes a year in emissions, or about 3.7 per cent of the province's current total. One million electric cars in Ontario would cut about 2.5 per cent of its annual emissions. Passenger cars, not including pickup trucks, minivans or SUVs, accounted for about five per cent of Canada's emissions in 2015. Even if every single car was replaced with a zero-emission vehicle by 2030, it would only get the country less than one-fifth of the way to meeting its international commitment to shave nearly 200 million tonnes of emissions a year by 2030. Belzile said consumer demand, spurred on by a $50 a tonne carbon tax, is a far more cost-effective way to increase electric vehicle use than a vehicle subsidy that is more than 10 times as expensive. He said research shows as many as half of those who already bought an electric car in Quebec would have done so without the subsidy, so it's costing the government a lot of money to convince people to do something they would have done anyway.